I received products for review from Quartro. The opinions within this post are of my own and I was not influenced in any way. Please do your own research before purchasing products or using services. Your opinions and results may differ. Just a few days ago I posted a review and giveaway for Scratch & Create Enchanted Forest. In addition to receiving it, I also got to try my hand with Scratch & Create Hand-Lettered Life. Its concept is the same as the Enchanted Forest book but it has inspiring quotes and blank sheets that you can scratch to make designs. 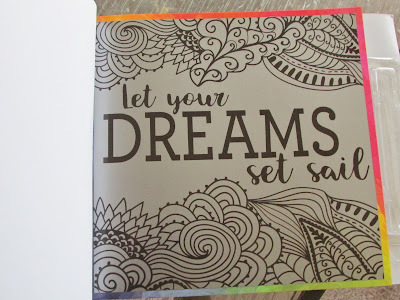 The Scratch & Create Hand-Lettered Life set has been a relaxing form of art for me. There are sixteen scratch sheets in the book that start out as silver, metallic foil. When you use the provided stylus and scratch the foil, colors and pictures appear. It creates a completed image. 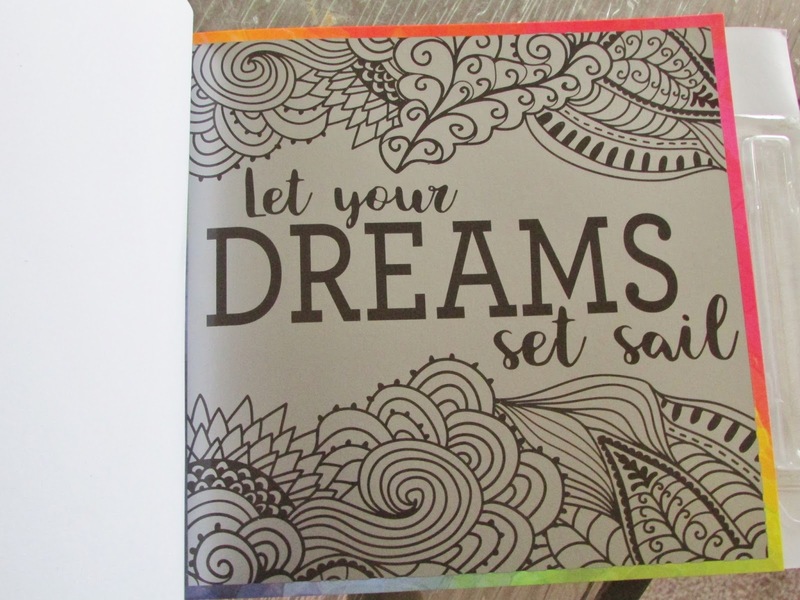 Part of the book has pictures with inspiring quotes already on them. All you have to do is scratch the metallic coating to reveal the design and colors. Another part of the book has blank pages. Using any of the three styles of alphabet stencils provided, you can make your own quotes and designs. There are two sides to the stylus - one thin and pointy, the other wider and duller. I prefer the wider side because I can get more done quicker and it doesn't scratch up the paper. I've found that, once in a while, you will want to wipe the shavings away from the image so you can keep track of where you've scratched. You can send your finished art to someone special or use it as a display. Hey, thanks for reviewing this book! Its my designs that are used in it. Glad you found it relaxing.